I forgot to post photos of these four hot pads I made a few weeks ago. I used leftover blocks I had from my quilt Nature Sweet on the front of these four houses. House blocks on hot pads just made sense to me. They have a scrappy look to them even though most of the fabrics are from the Foxtail Fern line by Dear Stella Fabrics. The quilting is very simple because this is supposed to be a fast project, right? 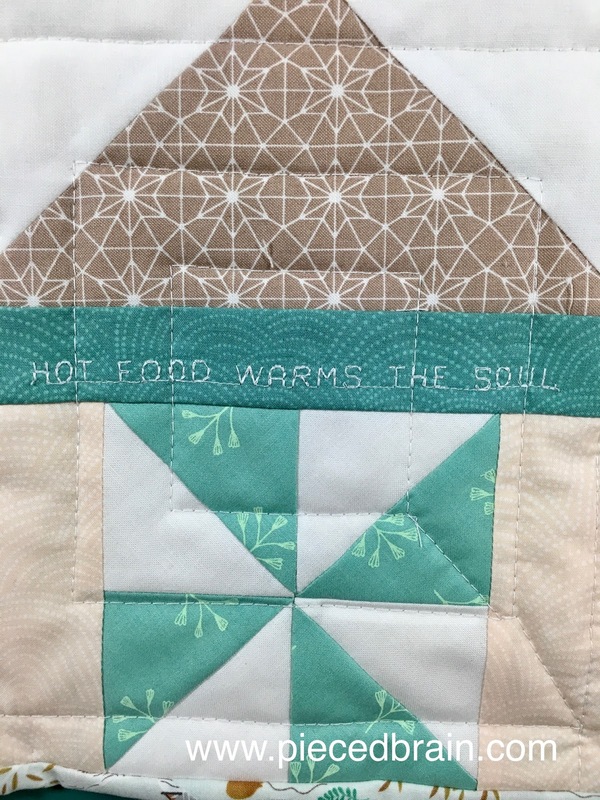 I did machine embroider the words "Hot food warms the soul" on them. Each hot pad measures 7-1/2" x 9-1/2", a good size to fit on even the tiniest counters. 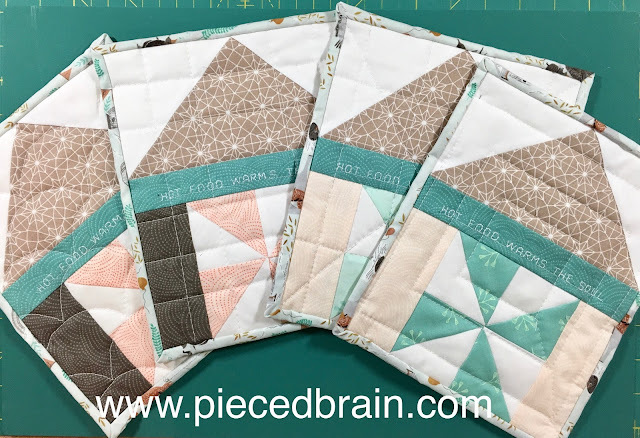 These hot pads will last because they are made with 100% quilting quality fabric. Hot pads make great gifts because they are functional, quick to make, and the recipients see them every day. I have already given them way: to my sister and to my mom. They love them.